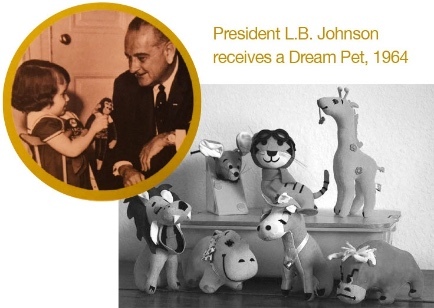 Dream Pets originated as collectible miniature stuffed animals. Made of velveteen and filled with willow sawdust, manufactured in Japan beginning in 1957 by Japanese toy designers Tochigi Mongi and Tomy for R. Dakin & Co. By the end of 1979 there were over 2,000 different characters. Avid collector and Dreamer herself, Paige Nichols held on to her Dream Pets from her youth knowing one day she would bring them back to life in her own vision. Fast forward to 2018 and that dream is now a reality! Larger, softer plush Dream Pets are here to stay.